The show also includes an optional dinner. 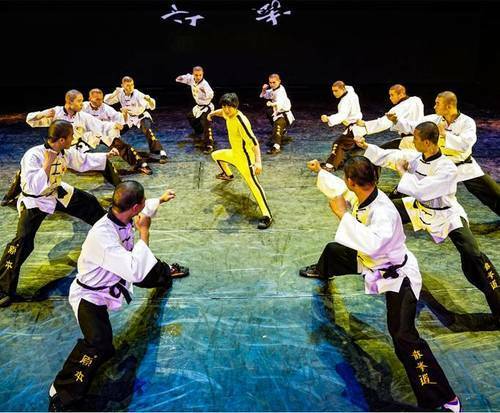 The Legend of Kung Fu performers are currently in Beijing after the 2016 season. The show has been replaced with The Adventures of Marco Polo. 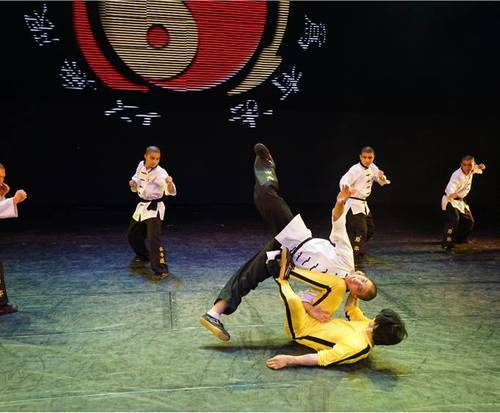 The Legend of Kung Fu tells the story of a mother's love and a young boy's ambition with a cast of 17 performers who execute traditional martial arts, aerial ballet, dance and music in a Broadway-style form. They have performed more than 3,000 times around the world (The United Kingdom, China, Canada, Russia and Japan), and were chosen as the main show of the 2008 Beijing Olympics. It's a story of personal growth, physical strength, and emotional harmony. The story follows a fearful, young boy named Chun Yi as he enters into the apprenticeship of a Buddhist monk. Under the teachings of a wise master, he struggles against distractions as he tries to find the dedication to adapt to the strict discipline and lifestyle. Along the way he learns the skills of martial arts and studies hard, collecting vital life energy. 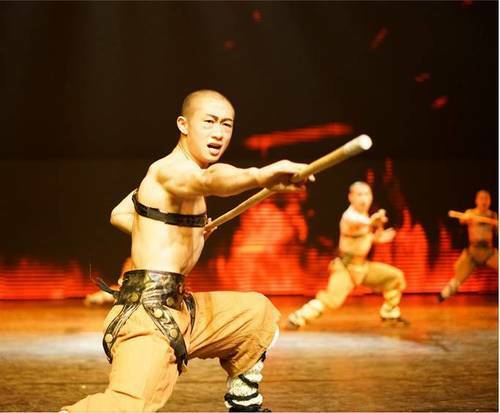 The Legend of Kung Fu is filled with acrobatics, artistry, and weaponry. This performance provides a unique opportunity to experience the magnificent scenery, lighting, sound and special effects, as the story unfolds. This show has such a great story line and the performers are great! It's a wonderful show for kids and adults. This show went beyond my expectations with such action and an amazing story. Ask anyone in branson and they will recommend this show. You will be watching with your mouth wide open. I am 20 and absolutely loved everything about the show. Don't miss this! Performers very friendly and we enjoyed the show. My teenagers thot this was the best. Especially my grandson with down syndrome. He was allowed to join the group on stage and he will never forget that..